Star Cast- Taapsee Pannu, Akshay Kumar, Manoj Bajpayee, Prithviraj Sukumaran, Anupam Kher, Danny Denzongpa, Virendra Saxena & Taher Shabbir Mithaiwala. 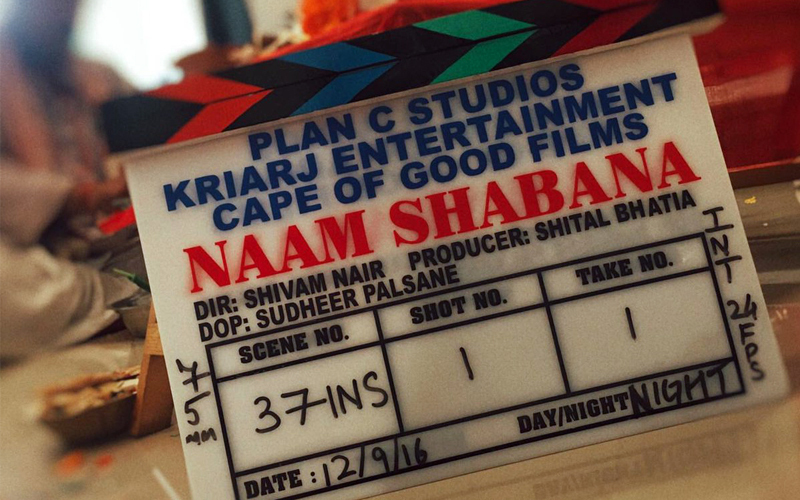 In the time when many filmmakers are releasing sequels to their successful franchises, Neeraj Pandey decided to come out of the crowd and offered a spin off prequel to his 2015’s super hit franchise Baby titled as Naam Shabana. It is the first time in Indian cinema, when anyone carried out such experiment. In the film, very talented Taapsee Pannu is playing the title role, who had played a supporting character in Baby. Written by Neeraj Pandey, Naam Shabana tells past story of the character Shabana Khan (Taapsee Pannu) from film Baby, that how a college going girl recruited as an agent in secret agency. The film starts with the murders of two secret agents, followed by the introduction of tough-minded Shabana who lives with her mother in Mumbai. One night while returning to home with her boyfriend Jai (Taher Shabbir Mithaiwala) from his birthday’s dinner date, she faces eve teasing from a group of drunk guys. Later the matter turns into a melee, in which Jai gets killed. Seeking for justice Shabana knocks the door of police but they do not take any strict action. Soon after she receives a call from an unknown person Ranveer (Manoj Bajpayee). He offers her help to punish the killers of her boyfriend in exchange if she joins secret agency. Desperate Shabana agrees on that and starts following his instructions. In her journey further as an agent, she meets senior agents Ajay Singh Rajput (Akshay Kumar) and Om Prakash Shukla (Anupam Kher) and the undisputed king of criminal activities Tony aka Michael (Prithviraj Sukumaran). Talking about the performance, then after last year’s Pink once again Taapsee has proved her acting skills. She has given a brilliantly performance which impresses throughout. As always Manoj Bajpayee has performed very genuinely. In a negative role, Prithiraj Sukumaran left a strong impact over audience. Akshay Kumar who has an extended cameo in the film, given superb appearance and is undoubtedly the major highlight. Rest all the actors including Anupam Kher, Virendra Saxena and more have also performed their characters sincerely. Coming to direction, then director Shivam Nair has done his work on a satisfied note. Despite this, unfortunately the film missed the right chord which pulled it back from becoming edge-of-the-seat-thriller. The average screenplay has ruined it’s taste to some extent. Music is almost good but without any chartbuster song. Overall Naam Shabana is a conventional thriller with commendable performances of all actors, which surely does not waste your time and money. Review of Taapsee Pannu, Akshay Kumar, Manoj Bajpayee, Prithviraj Sukumaran starrer Naam Shabana. Directed by Shivam Nair, this film is a conventional thriller with commendable performances of all actors.